Charity, Youth Off The Streets, explains why it has invested to receive consistent and growing donation, capital growth and dividend yield. Youth Off The Streets has grown from humble beginnings to an organisation employing over 200 staff and a turnover of around $25 million per annum. A challenge with this growth is generating revenue to not only fund day to day operations but to have enough funds to respond to community needs that arise. To ensure they continued to deliver services to young people Youth Off The Streets implemented investment strategies that have enabled funds to be raised and, from time to time, generate a surplus to ensure continued operation and expansion. Part of this strategy involves investing that surplus in a manner that provides a safe, steady and secure return over the medium term. As any good organisation should do Youth Off The Streets reviews its investments and investment policy annually in order to maximise return within acceptable risk parameters. This is where Future Generation Investment Company (FGX) has helped. FGX provides shareholders with exposure to leading Australian fund managers without paying management or performance fees, and it provides charities with a consistent and growing stream of annual donations and fund managers with a unique opportunity to make a positive difference to Australia’s future generations. It was an easy decision for Youth Off The Streets to invest money with FGX as there were clear benefits as per their investment strategy. As FGX’s fund managers do not charge management or performance fees, it allows the company to donate 1 per cent of assets to the supported charities each year, of which Youth Off The Streets is one. In addition to the support FGX provides Youth Off The Streets, through an investment in FGX of one million shares or more, not only does Youth Off The Streets receive capital growth with lower volatility than the market, but they also receive a grossed up fully franked dividend yield of 5.4 per cent (as at 9 March 2018, inclusive of the benefit of franking credits received) and an additional 1 per cent return through the ability to donate their charitable allocation back to the organisation. The FGX investment portfolio is currently returning 10.4 per cent per annum to shareholders through a combination of capital growth and income. In the 12 months to December 2017, FGX paid a grossed up fully franked dividend yield of 5.4 per cent (as at 9 March 2018, inclusive of the benefit of franking credits received) to shareholders. As a Deductible Gift Recipient (DGR) and an income tax exempt entity, Youth Off The Streets are able to claim back the franking credits received on the fully franked dividends. Combined with the additional 1 per cent return through our share of the charitable allocation, the income return component to Youth Off The Streets is approximately 6.5 per cent per annum. It’s been a great relationship that has led to a number of programs and services running to benefit Aboriginal young people. Everything from court support, men’s groups, women’s groups and cultural camps have been funded from these donations. Youth Off The Streets has seen this model grow from launch and have benefited from its success; it was a privilege to be chosen as one of their charity partners from the beginning. 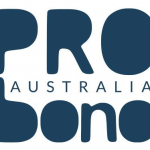 Youth Off The Streets believes this mutually beneficial partnership represents a new opportunity for the not-for-profit sector and investment companies to come together and deliver not just safe returns on investment but positive social outcomes.